The Oakley Half Jacket 2.0 XL sunglasses feature larger lenses for more coverage. 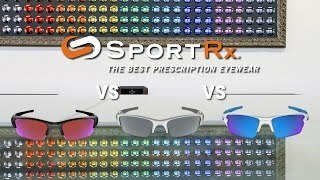 The Half Jacket 2.0 XL sunglasses integrate an interchangeable lens system so that you can optimize your vision to different sport environments. With a variety of integrated technologies, the Oakley Half Jacket 2.0 XL sunglasses offer a durable yet lightweight fit, providing all day comfort and protection. Need ‘em in prescription or looking to buy replacement lenses for a pair you own? We’ve got you covered. 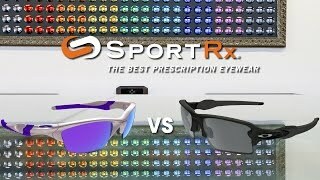 Order your Oakley Half Jacket 2.0 XL prescription sunglasses or lenses online at SportRx today!